LES FEMMES - THE TRUTH: Relay for Life logo - pandering to Islam or just being inclusive? However, not knowing that it was supposed to represent a 24-hour struggle against cancer, when I first saw the logo (out for several years now, but it was the first time I paid it any attention doubtless because I am more aware of Islam creeping in today than 5 years ago) immediately the STAR and CRESCENT conveyed the message, to me at least, that the American Cancer Society is pandering to Islam. I walked over to examine the logo more closely to see what company was accommodating Islam in such a manner as to have the star and crescent on their logo be the first thing one encounters when looking at it. The sun and three triangles representing the rays of the sun are secondary messages, that is, if one goes that far in scrutinizing further. Design agencies charge thousands of dollars to create a company’s specific logo to catch our eye and transport their message into our minds. A company designed this logo with detailed instructions as to what the ACS wanted to convey. Undoubtedly before acceptance the logo was discussed with ACS’s corporate office and it is most certain that with the star and crescent so highly visible, more than one person recognized the overt Islamic character of the design. Nevertheless, the logo’s production clearly went forward, therefore what is one to think but that the ACS is pandering to Islam. 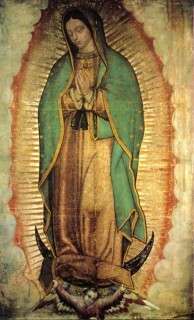 The logo could be representative of Christianity with the sun as the SON, the three triangular sun rays as the Holy Trinity, the star being the symbol of the Blessed Mother as the Morning Star and the crescent moon that upon which she stands in the image of Our Lady of Guadalupe but that would be carrying the symbolism too far. 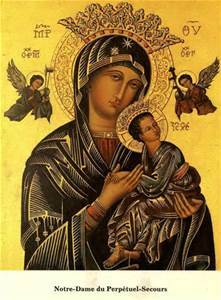 It would be too complicated, non-Catholics would not understand, and moreover, what secular corporate entity promotes Christianity today through their logo? Of the 24 countries participating in Relay for Life situated in the 24 time zones of the universe, only two are Islamic – Turkey and the UAE. However one can be sanguine and proceed with the premise that ACS wants to be inclusive of every society and culture participating in the Relay for Life. The ACS might admit that the star and crescent are representative of the Islamic cultures of the 2 participating countries (12%) however they dominate 90% of the logo – not in spatial dimension of course, but rather in sheer visionary effect. Since we are accustomed to read from left to right, the star and crescent are the first and foremost seen objects. But the star and crescent do not represent any one Islamic country as say, the Star of David would Israel, also a participating country. 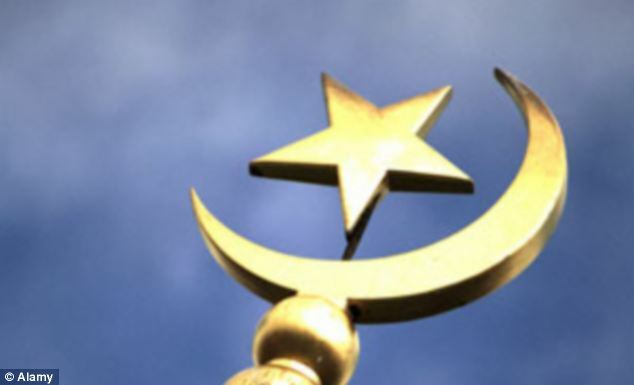 The star and crescent are symbols of Islam – the religion. Researching the internet I found this site Read here where the blogger and several commenters also noticed the Islamic tone to Relay for Life's logo. Islam loves to leave its mark. Google "flight 93 memorial crescent moon" for all about how they wanted a 911 memorial in the shape of the symbol for Islam. Michelle Malkin had a whole expose. As far as I am concerned, the only religious memorial I want at ground zero is the cross at ground zero that God himself left there. To me it really said something -- that huge cross of wood left standing after most all else was destroyed. I am NOT an employee of the ACS, however I AM a proud 23 year participant and advocate for the Relay For Life. I have had the honor of meeting the "mother" and "Father of Relay as well. then that logo was changed to what you will find now. the moon with the star, representing night, and 1/4 of the top right with the sun with the American Cancer Society Blue, White and Red logo in the bottom right 1/2 of the circle. There is also a 2 tone version of the logo. Still same symbolism - cancer doesn't sleep so we don't either. 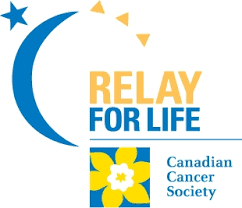 The portion of the logo without the ACS logo in it is used for the entire Global Relay For Life program, with the host country's logo taking up the bottom right 25% of the logo. No islamic symbolism - just symbolic of the 24 hour fight that cancer patients have, that 1 time a year, we supporters try to help carry. 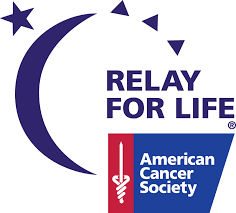 you can research "Relay For Life Logos" and "global relay for life logos" You will find the 3 transitions for ACS mentioned above and the logos for the Irish, Canadian, Turkish, Bermuda, and New Zealand's programs to name a few. I saw one of the posters in question posted in our neighborhood which we had just moved to a few months back. The first thing that jumps out at you when you see it is "this is a muslim community" because you immediately see the huge, bold text over the crescent logo. Needless to say, I was not happy to see that. It wasn't until taking the dogs for a walk that i was abe to see the much smaller "relay for life" name. I would guess that there is islamic influence on the logo. When I have free time I will do some deep diving to look into primary funding contributors and who may be on the board of directors for the organization. It is sad that when you see the moon and stars all you see is muslim. I again can 100% tell you as 24 year now supporter that there is no intention for muslim symbolism. Just overnight symbolism, because cancer doesn't sleep, we don't either. 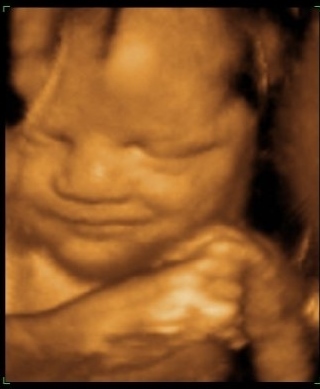 We welcome all to participate though.